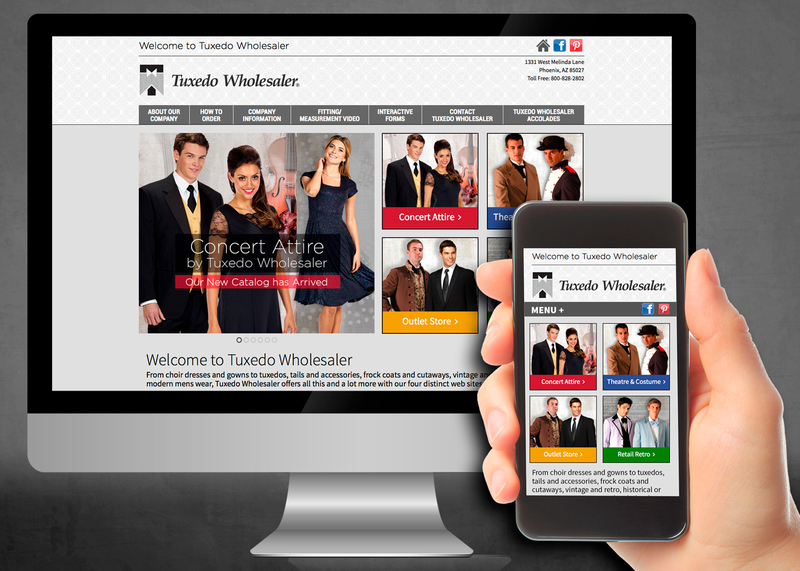 E-Commerce solution for Tuxedo Wholesaler. 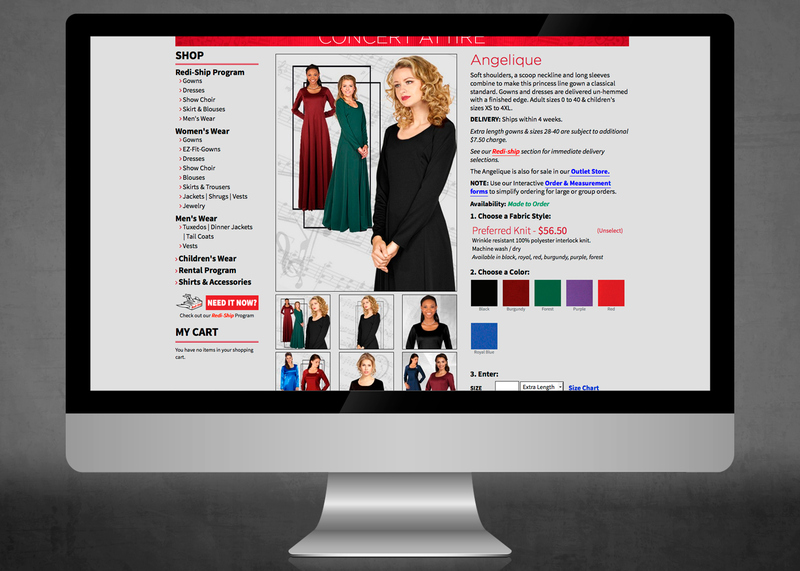 The site was developed using the Magento platform. 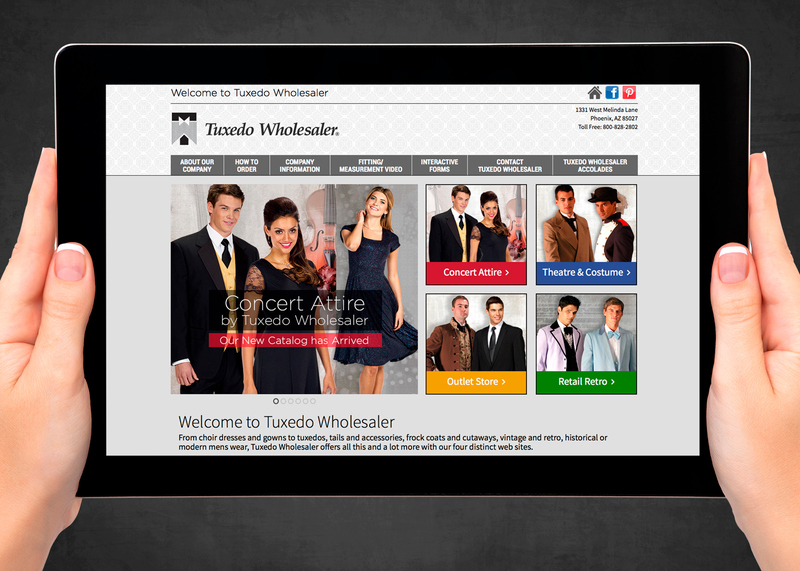 Tuxedo Wholesaler needed a system that could support their four stores all encompassed into one website. Each store has it’s own uniqueness as to how sales apply to the end-user and how business is managed for that store. We created one administration that has an intuitive environment so anyone within the business has the ability to manage products, sales or content on the site. The platform for this site is Magento which is PHP based. Magento is a Content Management System that is focused on e-commerce solutions. The client is able to run reports, manage invoices, manage orders, verification on credit cards using Authorize.net. 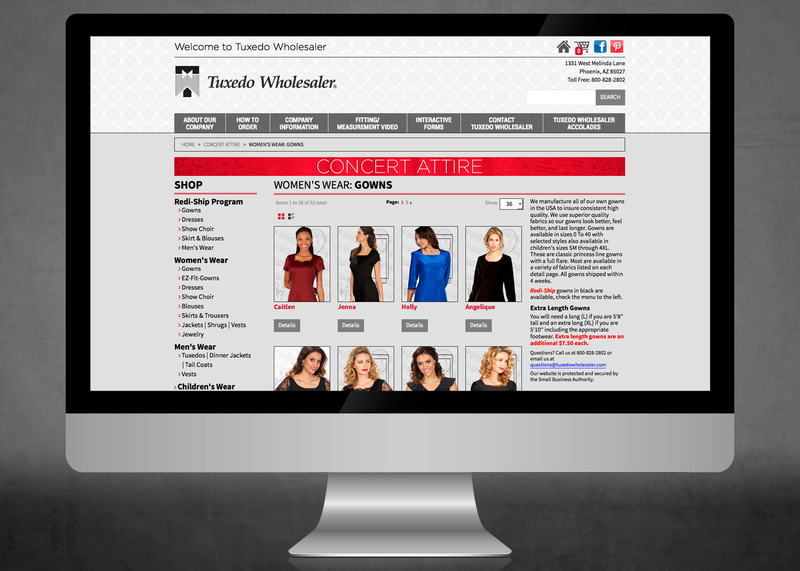 They can manage products in every storefront which includes adding, editing and deleting. We also added in analytics to view all traffic going to the site for future marketing campaigns to target certain demographics. 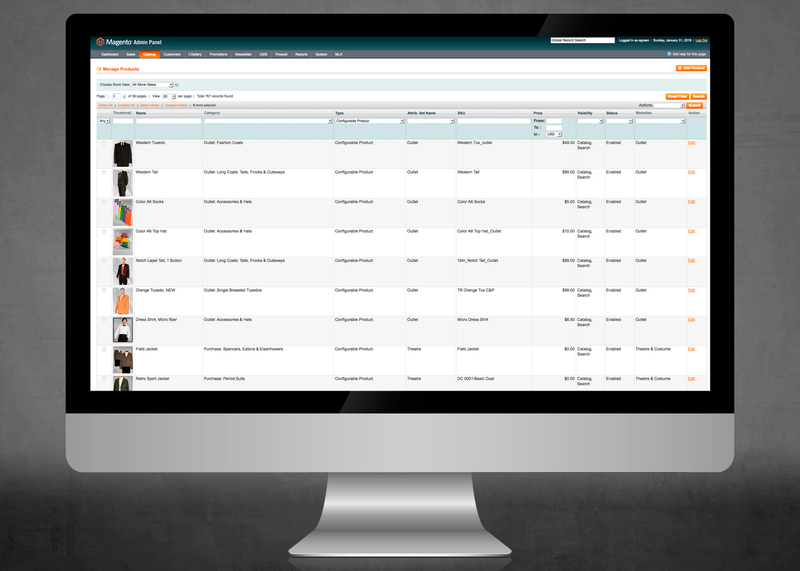 The customized admin panel allows the client to add, edit and delete products along with managing all orders and sales.